Our physician is a board certified physical medicine and rehabilitation specialist, with over 20 years of experience in occupational medicine. 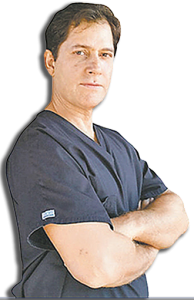 His ability to perform on site procedures, such as epidurals, trigger point injections, EMGs, ultrasound imaging, and fluoroscopic injections results in significant cost savings and improved patient outcomes, by reducing hospital and specialist referrals. Since opening its doors in 2001, Eastside Rehabilitation Medicine & Pain has cared for and serviced thousands of individuals, and hundreds of employers, using cutting edge medical services and evidence based treatment. This has resulted in excellent case outcomes and case resolutions. Our physical therapy department focuses on evidenced based, one to one, individualized treatment, focusing on those interventions that have the most scientific and research evidence for effective treatment of injuries. We also work on improving factors that contributed to the patient’s injury risks, such as correcting faulty body mechanics, patient education, and/or ergonomic improvements. What is the difference between our physician and general occupational doctors? Our physician is a physiatrist who has been trained in musculoskeletal medicine extensively for an additional (4) years. A physiatrist can evaluate and treat muscoluskeletal injury much quicker & more effeciently. How do we help your patients? We go beyond the care that is provided by most urgent care or occupational facilities. We can treat catastrophic injuries, provide epidural injections, stem cell injections, extensive physical therapy and case management to get your patient back to work much quicker and with less cost. One of El Paso’s Primary physiatrist practicing occupational medicine on a full-time basis. We have come across many complicated and serious Workers Compensation cases in the past 20 years, we should be able to help you avoid excessive delay, costs, unnecessary injections, surgery and physical therapy for your patients. Patient satisfaction all begins with prompt and accurate diagnosis. Dr. Manouchehr Refaeian, MD is a dual board certified physician in Physical Medicine & Rehabilitation and Pain Management. 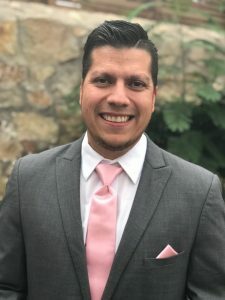 He completed his undergraduate studies at UTEP and finished his medical school at Texas Tech Medical School in Lubbock. Dr. Refaeian completed his residency training program at UTHSC in San Antonio. He also served as an Academic Chief Resident for the Department of Rehabilitation Medicine. Dr. Refaeian is a frequent public speaker on local TV and radio shows. 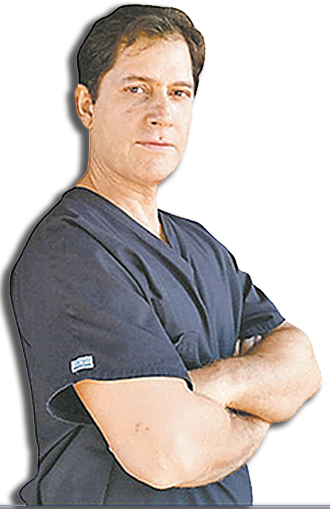 He has published several scientific articles and is also an assistant clinical professor for Texas Tech Medical School. He has also participated in several trips to Mexico in order to help needy patients. Dr. Refaeian is fluent in Spanish. Dr. Aviles is a staff physician that graduated from Texas Tech Family Medicine Residency Program in El Paso, Texas in 2010. He completed his ECFMG (Educational Commission for Foreign Medical Graduates) certification in 2006. He finished Medical School in 1999 at UNAN ( Universidad Nacional Autonoma de Nicaragua) in Managua, Nicaragua.